Founded in 2004, "Reach Out Pacific" (REPAC) has repackaged donated goods into containers and shipped them to Micronesia. Their mission: "to improve healthcare and education throughout the Pacific". For over a decade, REPAC has managed to donate much needed hospital equipment and school supplies to less fortunate Micronesian communities. Many residents of Honolulu are familiar with REPAC through the Friends of the Library of Hawaii, which donates unsold books to REPAC every year. (McKinley high school, Honolulu) "Friends of the Library of Hawaii" hosts an annual book sale. Unsold books are donated to REPAC and shipped to Micronesia. REPAC has helped countless persons and strengthened relationships across the Pacific. However, we noticed that REPAC discontinued donations to Chuuk State in the FSM since 2012. So we reached out to REPAC founder, senator Glenn Wakai of Hawaii for clarification. Senator Wakai has shown his commitment to continuing this service of goods reaching the islands. He has successfully rallied groups of volunteers annually and poured his time into sustaining this effort. In response to his many contributions, Palau president, Tommy Remengesau Jr. appointed senator Wakai as Palau's honorary consul to Hawaii. Senator Wakai (2nd from bottom left) with a group of volunteers after filling a container of donated goods bound for Chuuk. Under Wakai, REPAC has grown into a successful and beneficial nonprofit organization. However, it has also had some bad experiences. 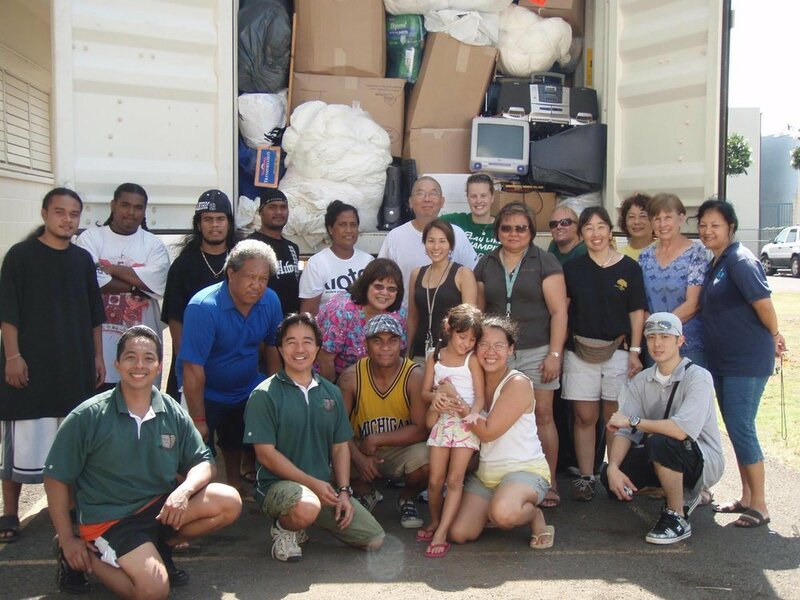 From 2005 to 2012, REPAC has shipped four containers of donated school and medical supplies to Chuuk. Two of which reached Chuuk without complications. The other two containers have basically disappeared. Senator Wakai explained that his contacts in Chuuk have yet to confirm if the two shipments of donations have reached their intended recipients. The fate of these two containers remain a mystery. He explained that similar issues occurred in the RMI. Senator Wakai expressed frustration over the irresponsibility. REPAC will continue to help Micronesia, but has halted donations to Chuuk and the RMI. “I know that Chuuk has the greatest needs in Micronesia. It's unfortunate that it's plagued by leadership and a system that is not accountable. As Chuuk languishes, the rest of the world and REPAC is moving forward.” Hawaii State Senator, Glenn Wakai.